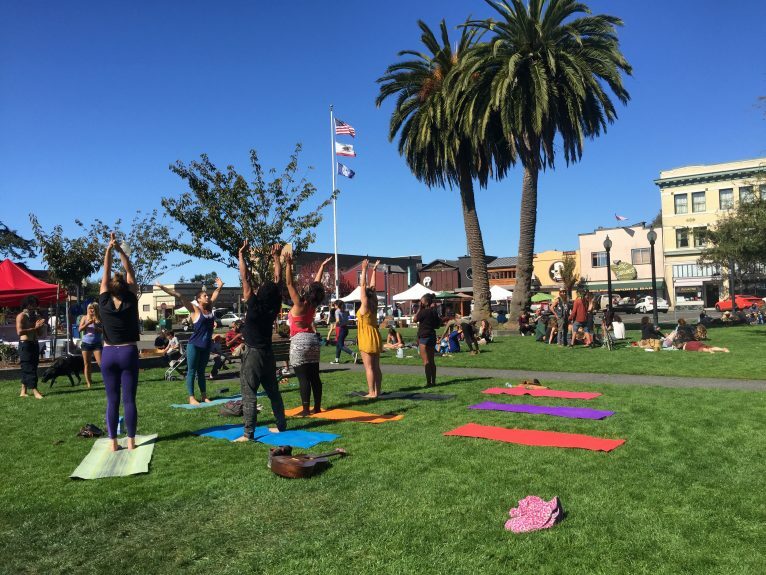 Yoga on the Plaza is a weekly FREE yoga class that takes place after Farmer’s Market on the Arcata Plaza. Each week, a local Yoga Instructor will be gracing the scene with their class and offering. Children are invited and all levels are welcomed.